A beach is perhaps the perfect destination to sit back and relax as the blue waters lap at your feet. If white sands and clear blue waters make up a beautiful beach, then these Florida beaches are some of the best in the world. Add to that a plethora of shopping options, a vibrant nightlife and a host of restaurants to choose from and you have a perfect tourist destination! This Florida beach tops the list of most beautiful beaches due to its clear waters and pure white sand. The sand on this beach is almost 99% quartz which makes it shine white in colour. This beach is also a huge summer time attraction because the sand stays cool in all seasons despite the scorching heat of the Sun. Add to the emerald blue waters and beautiful sunset views and this beach gives you a perfect destination for all seasons. It is easily accessible from the Siesta Key Island road and has all the essential facilities like lifeguards, restrooms and tennis and volleyball courts. Caribbean Islands also has some of the most magnificent beaches in the world. This beach, located in the town of Fort Myers on Estero Island has multiple access points and is 7 miles long. There are various parks and preserves along the beach which have abundant wildlife along with an uncluttered beach. Since the water is very shallow, this beach is perfect for a family vacation and offers a number of activities like kayaking and fishing. 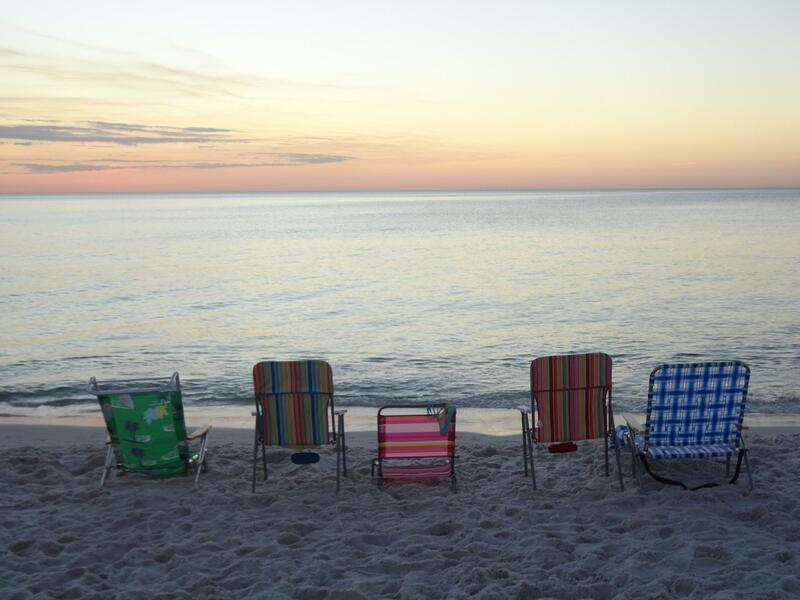 It is also famed to be one of the best Florida beaches to watch a sunset. In the town of Fort Myers, there excellent restaurants, hotels and resort and the town also boast a thriving nightlife. You must also know about best islands in Greece to visit. The sparkling blue waters and white sand of Hollywood Beach are the biggest draws for tourists. This beach offers a 2.5 mile beachfront with a number of enchanting cafes and eateries along the seaside. The waters of this beach are very shallow and so are ideal for swimming, fishing, diving and kayaking making it a perfect family getaway. There are a number of options for lodging varying from five-star hotels to local lodges and resorts. A visit to this beach is guaranteed to be an experience of a lifetime. Thailand is also known for its fascinating beaches in the world. Here, we have also covered about beautiful islands in Thailand to visit. This beach in Western Florida is the perfect destination for those who want to laze around in the lap of nature. The 2.5 mile beachfront has pristine white sand and the water, because of the gulf that surrounds it, is very calm. The weather in all seasons is pleasant and this beach sees tourists all year round. The main attraction is a pier named Pier 60 which stretches out into the sea to offer a perfect view of the sunset. As a traveller, you must also know few things about amazing Bora Bora islands. In South-western Florida, the city of Naples is perhaps the best option if you are looking for beaches. This city has a coastline of over 10 miles with multiple access points each with its own speciality. Tourists can try out water sports like jet-skiing, kayaking, snorkelling and sailing. In Naples too, the fishing pier is a major tourist attraction. This city has something for everyone with high-end shopping complexes, five-star hotels as well as budget friendly lodges and local treats. This is the perfect place to kick back and enjoy the sunset while fishing. You will be surprised to know about beautiful lakes around the world. This beach is located in the southernmost part of the Barrier Island of Miami Beach and is famous for the colourful lifeguard huts that dot the beach. It has a 2-mile coastline which offers a stunning view of the sea as well as the city. The white sand and bright blue waters leave the tourists wanting more. Visitors have the option of fishing, kayaking, yachting, kite sailing, snorkelling and cycling around the beach by renting bikes. The variety of night clubs, bars and restaurants give the city and it’s a tourist a thriving nightlife. Florida is also known as one of the best nightlife cities of the world. This city on the Emerald Coast of Florida is one of most beautiful public Florida beaches. It has 13 access points to various beaches with white sand and deep blue waters. The coastline is about 24 miles long and many restaurants and resort dot the landscape. The Henderson Beach State Recreational Area is the most popular beach with tourists and sees the highest number of visitors in October during the annual seafood festival. The city has options to suit every budget from high-end resorts to economical lodges and hotels. The sands of Destin Beaches are some of the whitest and cleanest in the world. Nature has also given us few unusual beaches around the world. The beaches in Key West are mostly man made and do not have long shorelines like other Florida beaches but draws many tourists because of the excellent water sports and beautiful landscapes. The Smathers beach is the longest, with a two-mile coastline and also has a number of water sports like parasailing wind surfing and jet skiing. Because of the coral reef that lies very close to the shore, this beach is a popular destination for snorkelling. There is a large variety of marine life as well as living corals not far from the shore. This is also a famous destination for cruises and is frequented by many boating enthusiasts. You will also enjoy reading about best beach cities in the world. This Florida beach is located in the city of Santa Rosa Island and has a long coastline with sugar white sands and emerald waters. The main attraction is a long pier that extends into the ocean and is the perfect spot for watching beautiful sunsets. Fishes and shark also frequent this point and tourists can get a beautiful view of these marine animals. The beach is not very crowded and is ideal for those who just want to relax and enjoy the waters. It also has many options for shopping and food. Most of the restaurants are along the beach and offer spectacular views of the beach while you have lunch. Located in Daytona Beach city, this beach is a popular spot for motorsports. Because of the tightly packed sand, the beach is a great track for racing cars, but this is restricted to a few areas and is dependent on good weather conditions. The waters of Daytona are very clear and the beach has a pleasant climate throughout the year. There are a number of shopping centres, amusement parks, restaurants and bars along the ocean front. This beach too has a long pier which has a hall in the end that hosts many entertainment events. This Florida beach is also an ideal spot for surfing and offers vacation options for all budgets. These beautiful Florida beaches are sure to make your holiday thoroughly enjoyable and unforgettable. They are also famous among tourist as one of the beautiful places in the United States. They offer the perfect blend of natural beauty, exquisite restaurants, exciting water sports and plenty of quiet time to wash off the fatigue of city life. Which of these beautiful beaches do you want to visit first?